Becoming a mother the second time around, I thought I knew what I was expecting; with my first son Timothy, everything was new and different, but this time I was an old hat. I’d given birth before, I’d breastfed before, I knew what I was doing. I’d planned for a lovely home birth and expected to be spending our first days together there, getting my head round wrangling two under two (we have a 15 month age gap) and tandem breastfeeding. 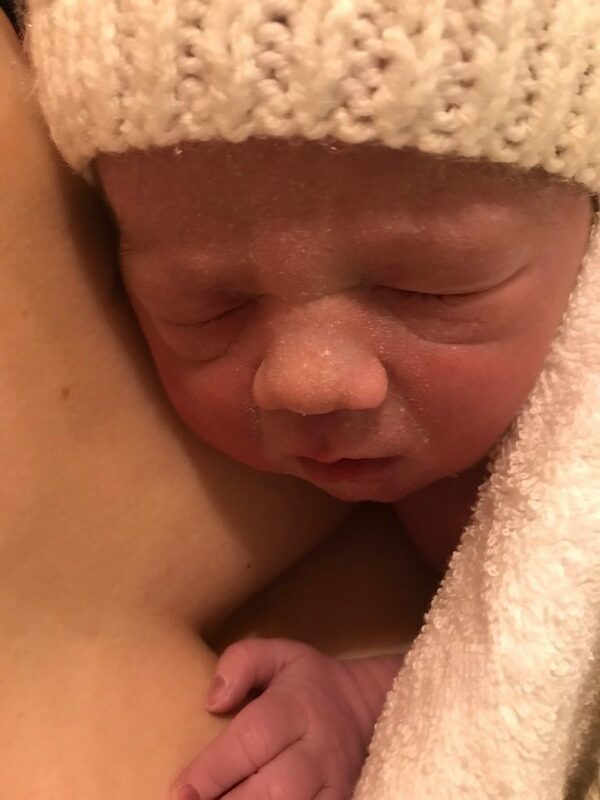 Instead, within hours of my amazing home birth experience, my husband was calling an ambulance at 2am as our new little boy, Jesse, was grunting and crying. We were blue lighted in, and immediately taken to the NICU where Jesse was wired up and put on a few different oxygen machines. At the time, honestly, I was angry. I felt like I’d done everything right; I’d laboured like a champion, given birth very happily with no midwives present (though they arrived immediately after) and yet here I was trapped in hospital again. I’d had some difficult experiences the first time around, and so I felt like a prisoner. I cringe looking back now, but I wasn’t overly polite to the nurses and doctors, and I flat out refused to take a bed upstairs on the ward. I like to think that if I wasn’t raging with hormones having just given birth and if I’d had more sleep, I would’ve been a bit more polite. The staff were nothing but lovely in response though! 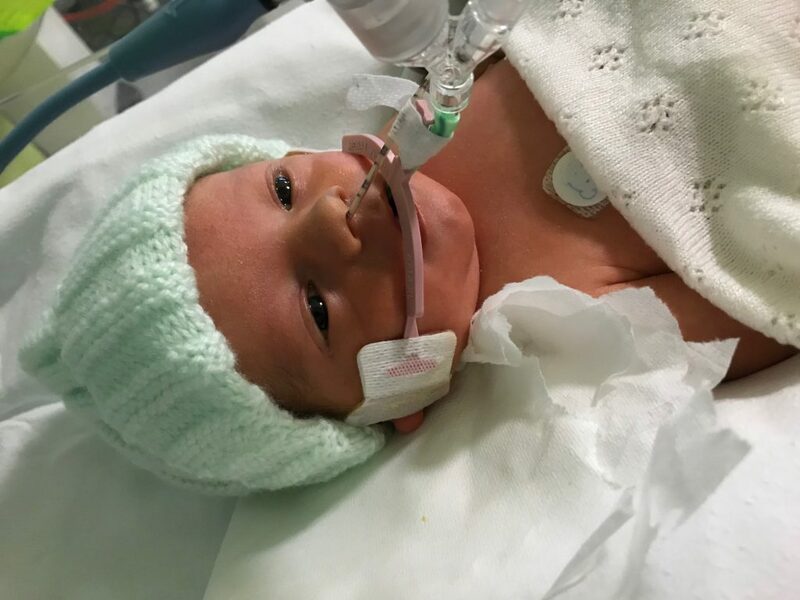 To begin with, the doctors just thought Jesse had a bit of fluid on the lungs and needed some oxygen and time to clear it, thankfully, they did also start him on a course of antibiotics. My husband and I swapped in the morning so I could go home, get a couple of hours sleep and shower. Coming back , feeling much happier, (and a bit guilty for my rudeness in the night) I walked down the corridor of the NICU to see people running and alarms blaring. You just don’t think it could be for you; I remember looking around in a nosey fashion, wondering who was so ill, but as I entered the ward, my husband looked terrified. There were so many people. The next few hours were a complete blur, as screens were put up and nurses and doctors worked to intubate my son to save his life. (put a tube down his throat to breathe for him) He was not yet 24 hours old. Later they told us they’d had to resuscitate him, and that they’d only had about a 15 minute window to save him. Had we even been upstairs on a postnatal ward, he might not have made it. Having been so angry to begin with, we were 100% in the right place and I am endlessly grateful for our NHS and what they did for my son. We later discovered he had Group B Strep, an infection which had led to sepsis and suspected meningitis. We were given a hospital flat, and told repeatedly that he was a “very very sick” baby and that we were to only take things an hour at a time. In the middle of all this, I also had a 15 month old to look after, and no family nearby; life on NICU is strange and time stands still. Minutes pass like hours and days like years; but we were able to be together as a family, even if it ended up being in short little bursts. Our friends and family were amazing, and we couldn’t have managed without them: they prayed for us; brought us food; did our washing; and looked after Timothy for a couple of hours. It was hard to get time together with our poorly boy, and I think it was harder on my husband than me. I found I didn’t want to leave Jesse for long periods of time, so James ended up on mostly doing toddler duty, hearing about his baby’s progress through snatched conversations and text messages. 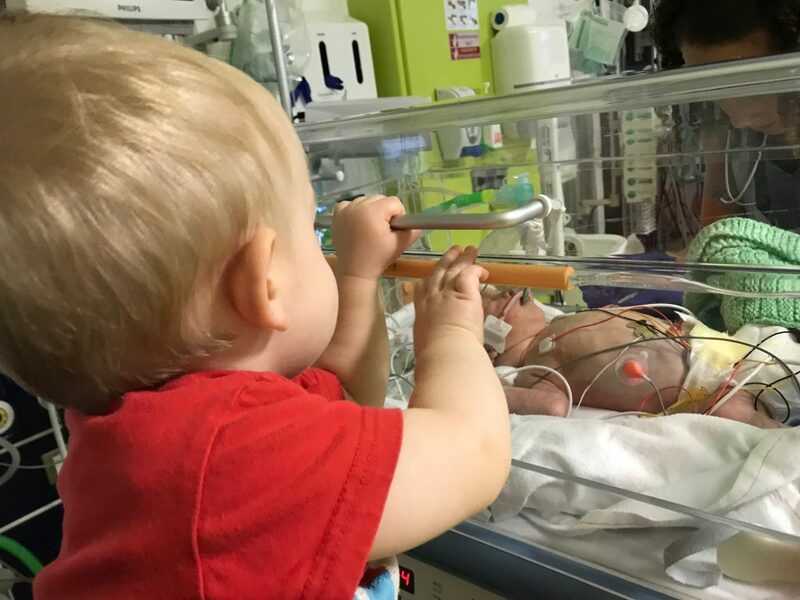 While siblings are allowed in the NICU at all hours, practically, Timothy could only manage a short visit before he’d get up to too much mischief. (there is an awful lot of exciting looking wires, tubes and buttons to play with!) Slings made all the difference with Timothy. They guaranteed us at least an hour together every day while Timothy napped cuddled up to my husband and they provided him with a safe place on a very unfamiliar environment and kept him up away from hospital equipment. I began to pump for Jesse, wanting to build up my supply so I was ready to breastfeed when he was. This was really hard for me at first, pumping for a baby and not knowing if he would ever need the milk; and it gave me a massive amount of respect for mums who exclusively pump, it’s hard work! I also still breastfeed my older son, so I did feel like my days were filled with milk! In total, Jesse spent 5 days on the ventilator, four of those unconscious. I didn’t get to hold my tiny baby again until he was 6 days old. That was an amazing moment; I put him skin to skin and covered us both with one of our woven wraps, his first (sort of!) 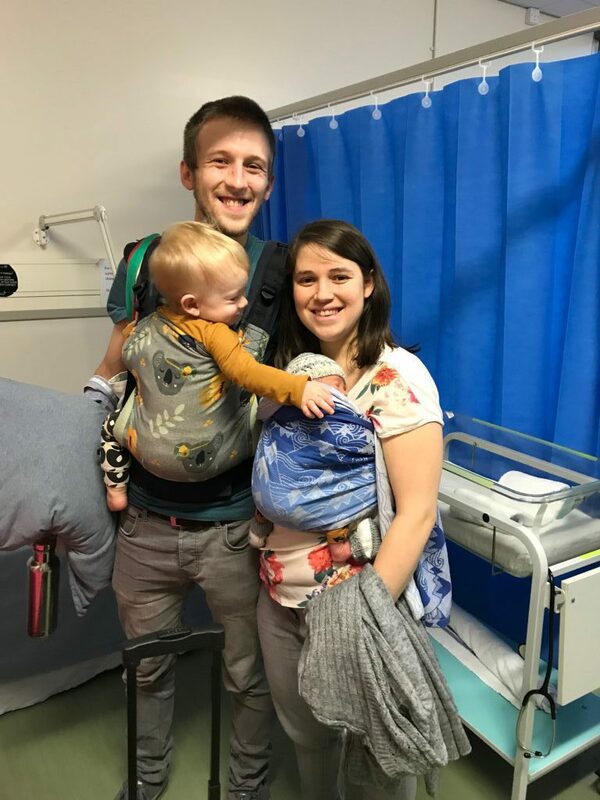 babywearing experience! At a week old, he was finally well enough to be moved (with me) to a ward, and slings allowed my husband to settle my toddler to sleep for the first time without me! We spent another week there while he finished his course of antibiotics. At two weeks old, I put my baby in the ring sling for the very first time, to finally carry him home. 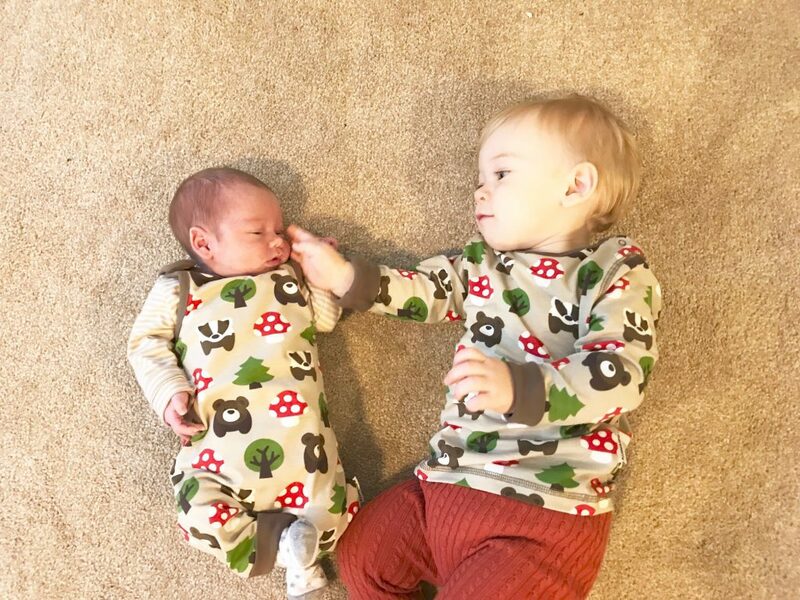 It was definitely a difficult start to mothering two, but the experience has given me a massive amount of confidence in my ability and my strength as a mother, and in us as a family. If we can get through that, we can get through anything! Laura is mother to two boys, Timothy and Jesse and lives with her husband in the vibrant city of Birmingham with her husband. Things are slightly mad in her house with two under two, so there’s an awful lot of breastfeeding and carrying that goes on. She’s also passionate about trying to parent in an eco-friendly way, and runs Birmingham Cloth Nappy Network as well as volunteering at a local breastfeeding group and sling library.